The days of canvases, sketchbooks, paintbrushes, etc are slowly (or quickly in some industries) going digital. Today pretty much anyone with the desire to become an artist can learn digital art tips online. Art is a great hobby and now graphic design and art design for games and apps are an ever growing career path. Here’s a “recipe” or toolkit for starting up digital art projects. 1) Choose a tablet. I’m partial to the current market of Android tablets. 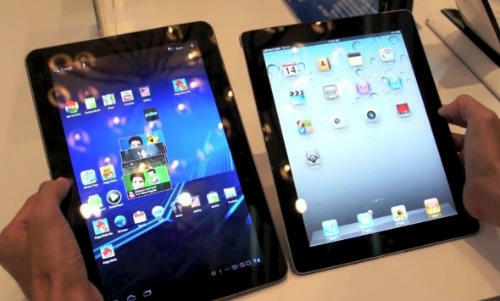 I’m torn between the Samsung Galaxy 10.1 and the iPad 2 for being my favorite tablets on the market right now. App developers seem to like making apps first for iOS but I’m a huge fan of Android. Your choice in the end. I think though try to choose a tablet that has expendable memory via SD Card slot. 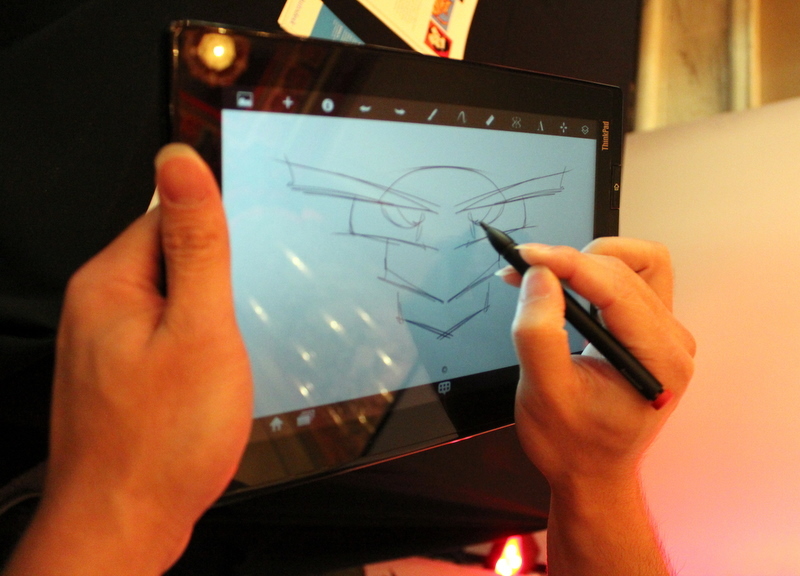 For that I’d recommend the Asus Transformer Prime. Good tablets run from $400-$800, depending on brand, harddrive size and if just wifi model or connected to network. 2) Download artwork app. I say no need to spend a lot of this purchase. Suggestion; SketchBook Pro 2 for iPad 2 or Sketchbook Mobile for Android, which is a mobile version of Autodesk’s desktop digital artwork application of the same name. The toolset in SketchBook Pro is impressive, with options for drawing straight lines and geometric shapes, and adding text to your artwork. For iPad 2 users, there’s also an option to work at the higher resolution of 2048-by-1536 pixels. My favorite benefit of using SketchBook Pro is that you can export your finished artwork containing up to 12 layers in PSD format, allowing you to continue working in a desktop application such as Adobe Photoshop. The app runs anywhere from $5 in iPad 2 or $1.99 on Android (there is a free “lite” version too). 3) Pick a good digital artist geared stylus. I’ve been trying out a lot of stylus lately and my top two “must have” artistic driven stylus on the market right now are both by The Joy Factory. Both are $24.99 each and depending how you like the handling of your design tools will then help you make your choice. The Monet is more like a sketching pencil while the DaVinci is more like a paint brush or marker. Being I’m more a sketch/drawing and writer user, the Monet was a perfect choice of stylus. The Monet is designed with an extended body and a balanced weight to give you the full control of your artwork or writing. It is shaped like a sketching pencil to provide the realistic feel while holding it and it allows you to precisely transfer your writing and drawings into digital form. Perfect match for you to replicate your writing and sketching in tablets and smartphones. The Monet comes in three color choices, charcoal, green or pink. 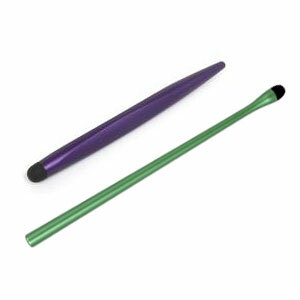 The The DaVinci stylus is smaller and a bit heavier in your hand, more like a paint brush would feel. The tip of the stylus is pressure-sensitive that emulates the feel of the finger touch, allowing users to apply force similar to using the paintbrush while maintaining the same precision. The DaVinci is perfectly weighted to provide the natural feel of using drawing instruments such as paintbrushes, and markers. It comes in three color choices, charcoal, purple or silver. 4. Showcase your designs and artwork via uploading to a site. Right now Pinterest is big in the sharing, social media word. Similar to Tumblr, where you have a “board” where you “pin” (upload) things of interest that are visual in nature (think visual blog style in ways). Great for artwork, photos, short video, etc. Fully featured sharing abilities as well for your Facebook page or tweeting links to your Twitter following. It’s quick and easy to use. If you have an iPhone, you can “pin” your artwork right from your phone. Pinterest is a website as well not just an app. Other good sites are Tumblr and Behance for the more visual set. Both also have the sharing feature to let your community (friends, family, etc) know what you’ve been creating. Best feature, all three sites are great for those of us who don’t have and html experience. Very user friendly. Posting takes only a few minutes once you set up your page (blog for Tumblr, profile for Behance, board for Pinterest). All three sites are free to use and set up. TIP: I suggest setting up your showcase site before you plan to share artwork. This process can take 5 minutes to about an hour while you pick your template for your page.